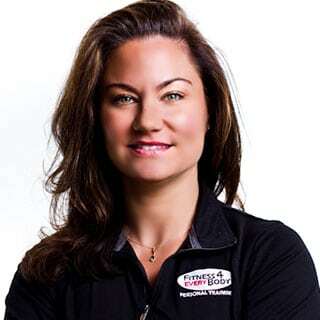 As the owner and CEO of Fitness4EveryBody, Pilar brings more than 16 years of experience providing successful fitness services to clients ranging from individuals to large companies. Pilar is experienced in all aspects of fitness services and management, including personal training, group exercise, massage therapy, wellness coaching, running coaching, level one golf specialist coaching, and specialized sports-specific training. She is a Certified Personal Trainer through the National Strength Professionals Association (NSPA), Certified Kickboxing trainer with the Aerobics and Fitness Association of America (AFAA), Certified Cycling Instructor through Reebok, and an IDEA Health & Fitness Association member since 2004. She also specializes in conducting Safety and Space Analyses for both new and existing fitness centers. Born and raised in Colombia, South America, Pilar played basketball in school for 7 years before attending college in Cambridge, England. Fitness and wellness are Pilar’s passion, and it shows in her work. Constantly reading, learning, and researching enables her to bring her clients the latest information on optimal health. She strives to personally know each member and to help them find fulfillment with a wellness and fitness program that fits their lifestyle and brings balance to their lives. Pilar and her team of fitness specialists bring their skills, talents, and enthusiasm to each client and event and always strive to design and deliver innovative health programs. Everyone is an individual with changing needs and wants. As a personal trainer, Sonya enjoys getting to know what motivates and excites her clients, so she can help them achieve their personal best and enjoy the process. She believes that with a realistic Plan, Perseverance, and Patience you will achieve your goals! Exercise has been a part of Sonya’s life since the age of 4. Competitive swimming provided her camaraderie, lessons in humility, and ultimately the satisfaction of hard work, which paid off at NCAA Nationals in college. Over 30 years later, she believes without a doubt that a lifetime of fitness is part of who she is. She currently enjoys a variety of activities from jogging and running local races, to hiking, to dancing with friends whenever she gets the chance. Picking different modes of exercise has kept her active. She has also taught spinning, cardio kickboxing, swimming, and water aerobics for 25+ years in clubs and private homes. Kim Sanborn is an experienced personal trainer and group fitness instructor with an extensive teaching and training background. 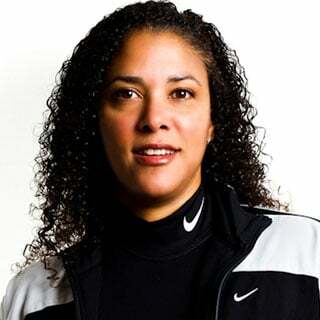 She is certified by the American Council on Exercise as a Personal Trainer and Group Fitness Instructor. Kim is also a Zumba® licensed instructor and loves to join in any Zumba® Party! Kim believes that fitness is a lifestyle that can be obtained by anyone seeking to live a long and happy life. Kim’s approach to training is one of moderation. She believes that exercise can be a truly fun and enjoyable experience. Over the years, Kim has trained clients ranging in age from 18 to 80. She strives to customize each client’s exercise plan to meet their needs, goals, and fitness levels. Her clients have lost in excess of 500 pounds, and more importantly, they have developed an appreciation for daily movement and making choices that lead to overall wellness. For Jean, one of the best changes in the 20+ years she has spent in fitness as both a participant and a trainer, is the emphasis on functional fitness, which she incorporates into her training. Our bodies move multi-dimensionally in real life and need exercises that mimic that movement to help us function optimally throughout the day. She strongly believes in core training to work on balance, posture, and flexibility. When combined with traditional strength and cardio training, she is able to develop a complete, effective workout for her clients. Jean believes that a healthy, fit lifestyle is an achievable goal for everyone, challenging at times but always worthwhile. Over the years, she has been active in and out of the gym: skiing, skating, aerial arts, and competing in races (including completing a triathlon as well as a marathon). She also loves to try new activities. Jean admits she was once a couch potato and knows the difficulties, both physically and mentally, of getting started with exercise. She enjoys helping people attain fitness, not only in the gym, but also outside, and supports her clients finding activities they enjoy or want to try. She is also a ski instructor and a group fitness instructor certified to teach a variety of class formats. Her favorite part of teaching and training is being able to reach a wide range of fitness levels, and motivate all clients, from the very fit clients to the ones who are just getting started. 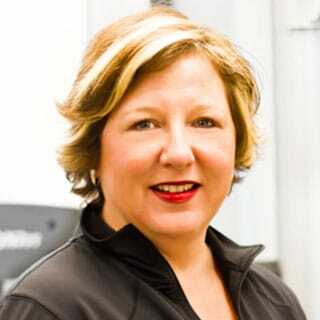 Lori has been part of the fitness industry for over 15 years as a group fitness instructor and personal trainer. 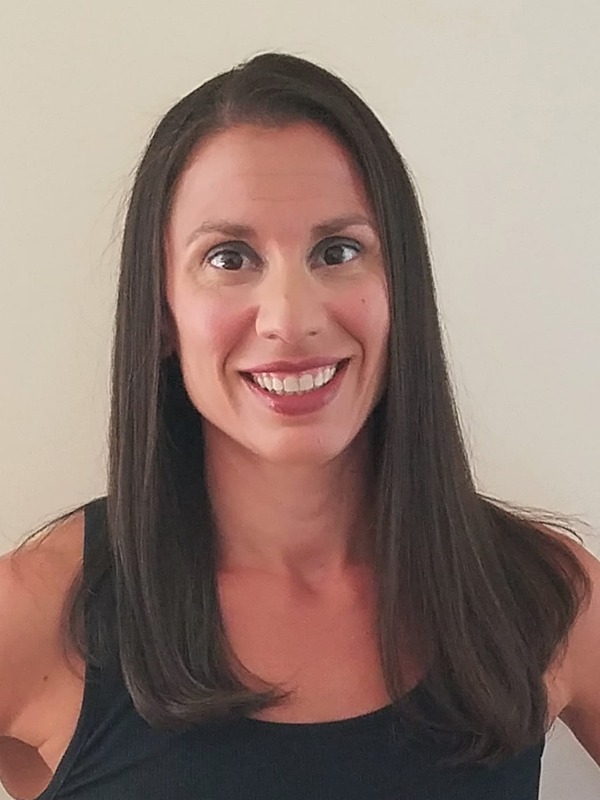 She holds a master’s degree in education, which she puts to use in developing and delivering instruction in her group exercise classes and with personal training clients. She has always had a passion for group ex and continues to teach a variety of classes, including cycling, Insanity Live!, strength training, barre, yoga, and boot camp. Lori holds the following certifications: Group Exercise (AFAA), Personal Training (ACE), Health Coaching (ACE), indoor cycling (AFAA, Keiser, and ICG), Insanity Live! (Beachbody), yoga (YogaFit), and Barre Basics (Barre Above). During the course of her teaching and training career, Lori discovered that many participants were struggling to fully attain their goals of weight loss, increased muscle strength and/or definition, and consistent healthy habits. Working out was just one piece of the puzzle, and they needed more information, more guidance, and more encouragement to get to where they wanted to be. As a result, Lori earned her certification as a Health Coach in order to provide a more integrated wellness experience for her clients. Beyond physical fitness, a Health Coach helps clients enhance their lives by focusing on goals related to weight loss, basic nutrition, stress reduction, and overall well-being. Her philosophy is that living a healthy lifestyle is a process, not an endpoint. By focusing on small, sustainable changes made over time, clients gain the confidence and the skills needed to maintain healthy habits through life’s inevitable ups and downs. Katie is a dedicated fitness professional who integrates a mind-body approach into her training sessions. She has been a Personal Trainer for over 11 years and is well-versed in functional movement, strength, and general nutrition. 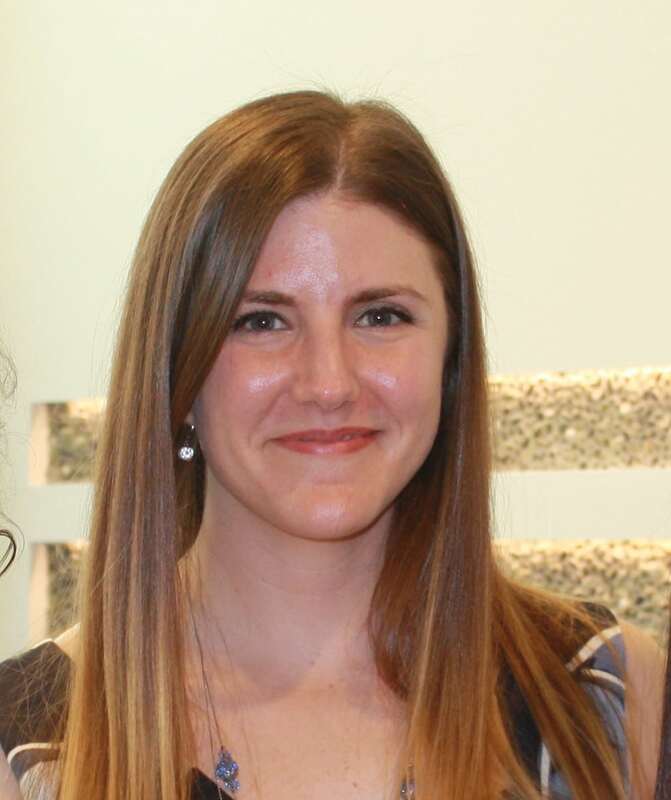 Katie believes that by applying the principles of intention, your abilities are limitless. She loves helping clients reach their goals and is happy to be part of the team. 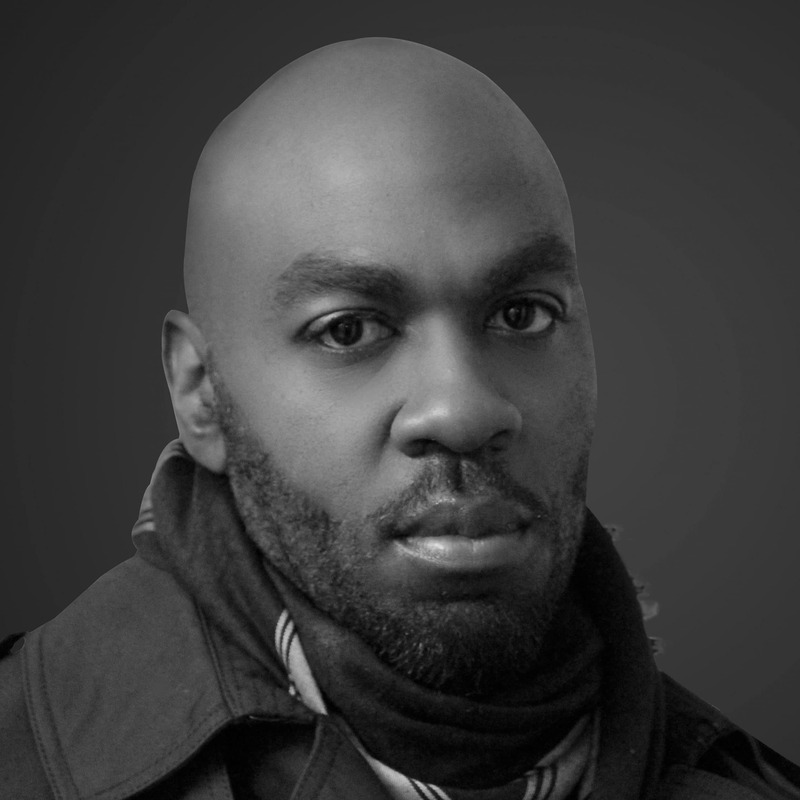 Muhammad is a certified personal trainer, sports nutritionist, and overall health enthusiast. His journey started many years ago when his parents purchased a weight bench and stored it in the basement. The weight bench in the basement is where his passion for strength training, exercise, and transforming physiques began. Muhammad decided to embark on his fitness career and became a Certified Personal Trainer and a Medical Fitness Specialist with the American College of Sports Medicine. He is also certified as a Sports Nutritionist with American Muscle and Fitness and a certified coach with USA Boxing. Perhaps most interesting, Muhammad had a prior career in law enforcement, as a member of the United States Secret Service for over ten years. In addition to his regular job duties, he also was a Physical Training Coordinator with the agency. In this position he helped many members of the law enforcement community to reach their professional and personal fitness goals. Muhammad loves to create new challenges for his individual clients and group fitness participants. He describes his training style as intense, fierce and motivating. His goal is to have a lifelong impact on every client who puts their trust in him. Muhammad is excited to bring his talent, experience, and skills to the Fitness4EveryBody team.